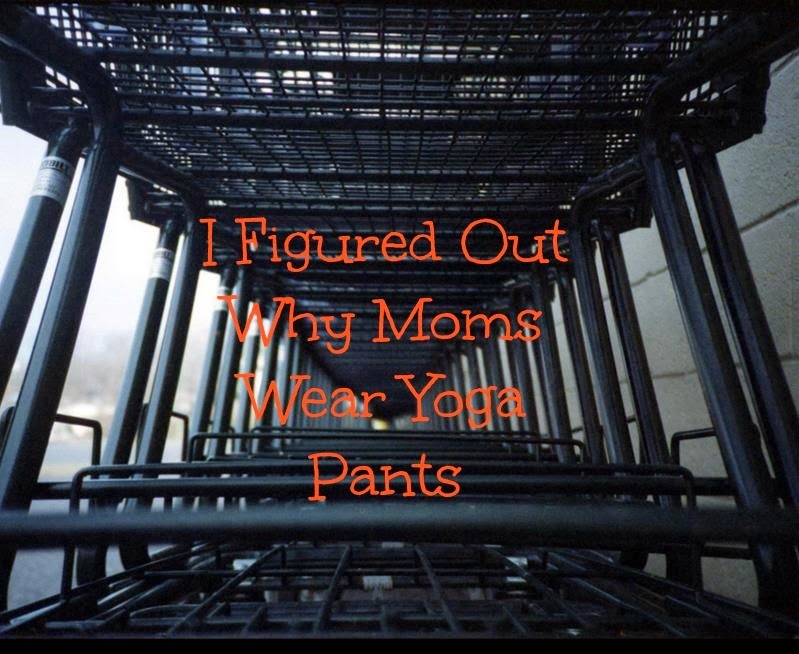 Today while shopping at Sam's Club with my 1 year old, it suddenly dawned on me WHY moms as a whole tend to wear yoga pants. 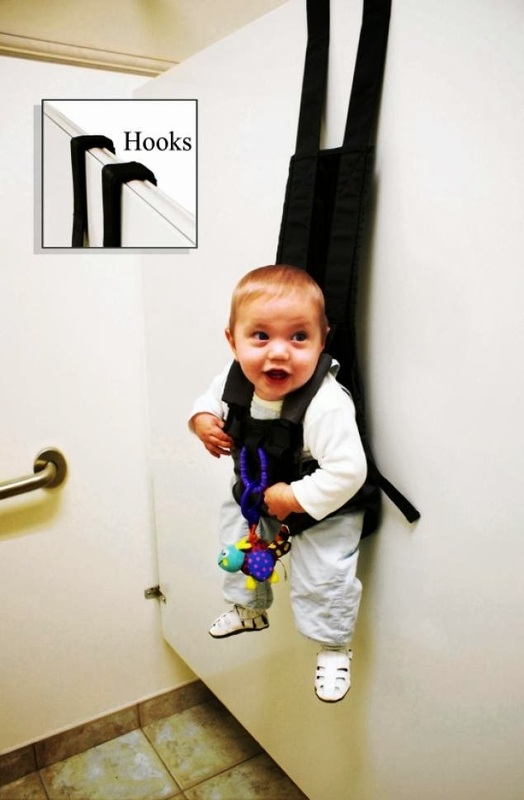 It's to make using a public restroom while holding an infant more manageable. Have you ever tried to zip your pants while holding a 1 year old? Not an easy task, my friend! I had to run to Sam's to get some things for our store, and I thought lugging a baby with me would be no problem. I was wrong. It's winter in Michigan right now, and as an added bonus, it's also unseasonably cold. It is very frigid and even has it's own snazzy term, Polar Vortex. The crisp weather was part of the problem today. I didn't want to take my baby out of her car seat to carry her inside the store. Because she was sleeping, and I NEVER wake a sleeping baby, and she was protected from the wind in her car seat. So on top of all the groceries we were getting today, I also had to lug around the car seat. It took up most of the cart, so I had to be creative in my shopping cart packing. I'm not quite sure what exactly that is, and if it is safe, but I am pretty sure it would come in handy! After we checked out, the Sam's Club cashier stacked the cart differently than I did, and the car seat no longer fit. 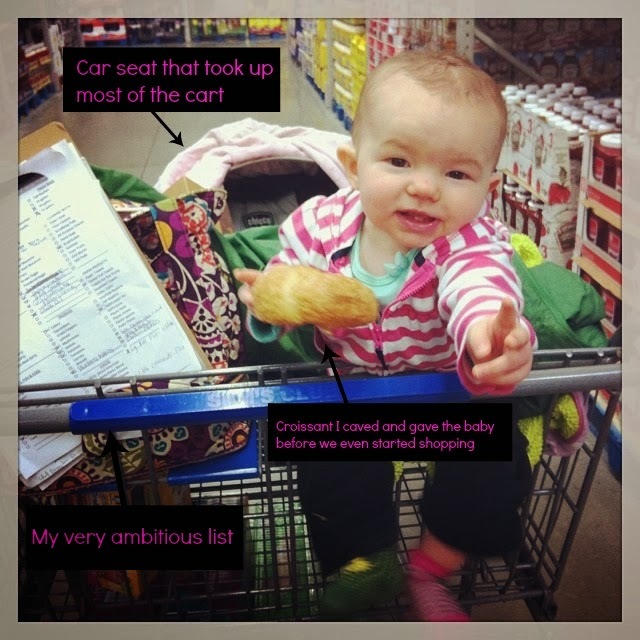 I ended up holding the baby while trying to maneuver an overfilled shopping cart with a car seat stacked on top. It was not an easy task and when I was 10 feet from the car half of the items fell off and scattered all over the parking lot. I have to say though, a kind passer by stopped and helped me. She came out of no where, but I was so glad to see her. With in seconds of my cart exploding in the parking lot this lady showed up and said "let me help you, get that baby in the car!" The temperature was 0 degrees and windy, so poor Ella was hanging on for dear life while I was trying to pick up my mess. I was soooooooooooo gratefully for this kind stranger. She gathered up the items while I packed Ella up. 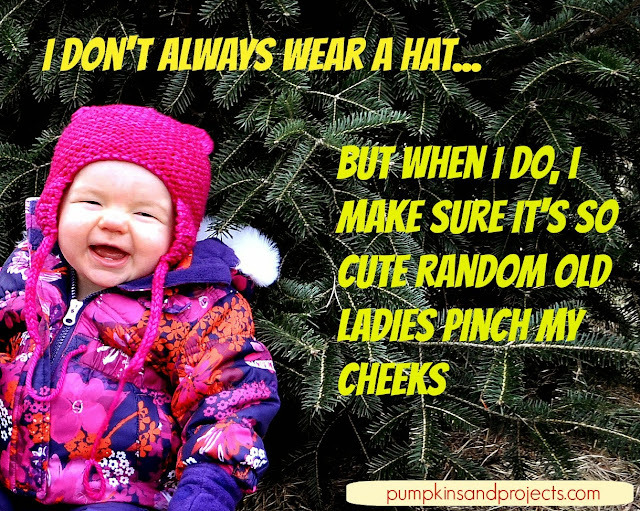 By the time I got Ella situated, the stranger had picked up all my items and said "Us mom's have to juggle a lot, but sometimes we need help". Yes kind stranger, I was so thankfully you showed up to help. I thanked her a million times and she said no problem. As I was loading items into my car I looked up and saw that she was apparently backing out of her parking space when she saw my shopping cart explode, because her car was in the middle of the aisle, half in a packing spot. She was so kind to come to my rescue, and thank God no one drove into her car while she was helping me! So, in recap, wear yoga pants. They will make wrangling an infant on a shopping trip easier.......and they are comfy.